Delaware mobile homes Pines at Long Neck ,Millsboro is a Peninsula in Sussex County, Delaware, United States. It is close to the Rehoboth Bay and Indian River Bay. It lies between Millsboro and the Delaware beaches of Lewes and Rehoboth Beach, Delaware. The location is ideal for boating enthusiasts because of its proximity to water. The availability of Baywood Greens and Marsh Island Golf Club in the area are also welcome additions to occasional golfers. There isn’t a dearth of grocery stores, shops, and restaurants in the area. Long Neck is filled with waterfront communities allowing residents to enjoy numerous water related sports and activities. The tranquil environment in Pines at Long Neck Millsboro allows residents to rejoice the natural resources of the community. Trees and natural vegetation are found in abundance in Long Neck. 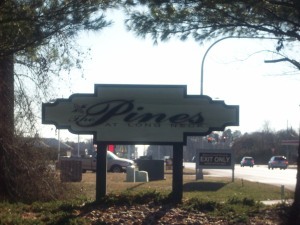 Unlike other communities in the surrounding area, purchasing a home in Pines at Long Neck Millsboro won’t cause an enormous dent in one’s pocket. The prices of the mobile home sites can range anywhere in between $9,647 to $120,000. Purchasing mobile home sites in Pines at Long Neck Millsboro is cost effective; it is a perfect lower cost alternative to the Pot Nets communities with similar amenities. There are also options of owning the land without having to pay ground rent ever again. People can either choose from two-bedroom homes, three-bedroom houses or four-bedroom living space. It is of paramount importance for potential new residents to possess a credit score of 620 or better to purchase houses in Pines at Long Neck Millsboro. There are different modes of payment one can choose from while making payments. New residents can make purchases either by cash, home equity loan or mobile home mortgage.